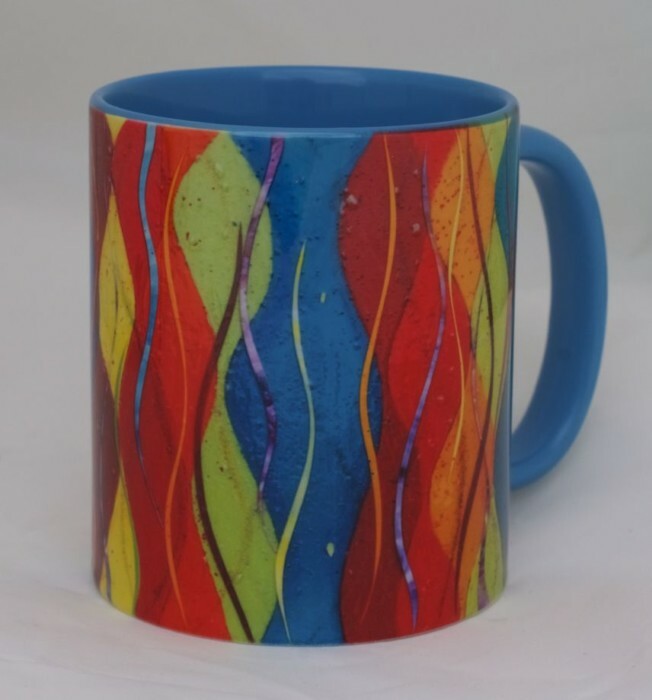 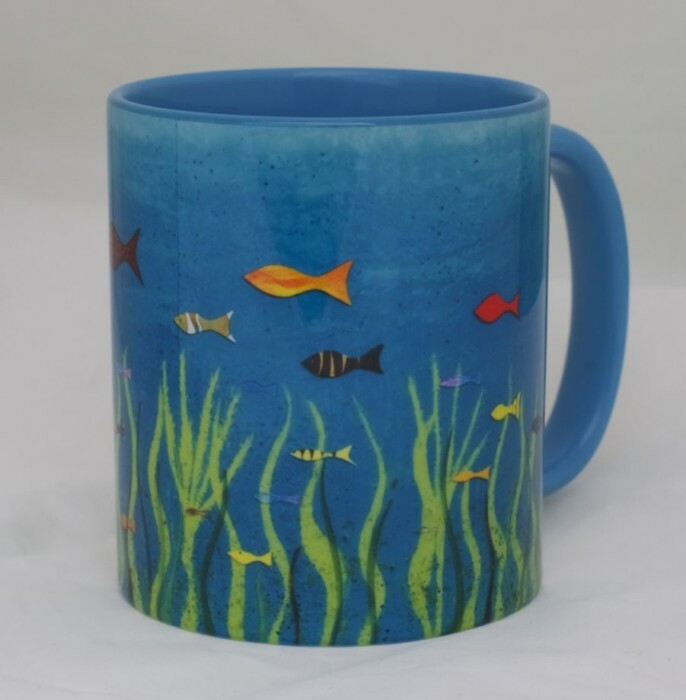 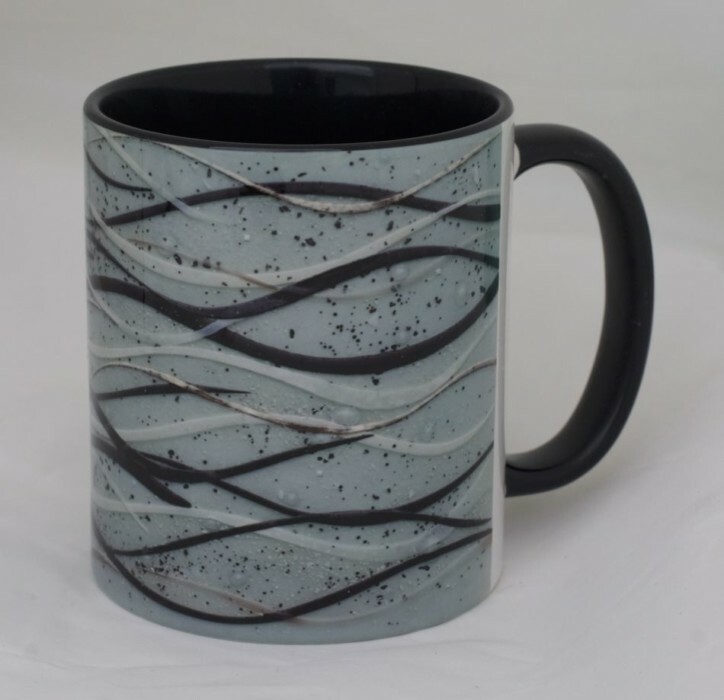 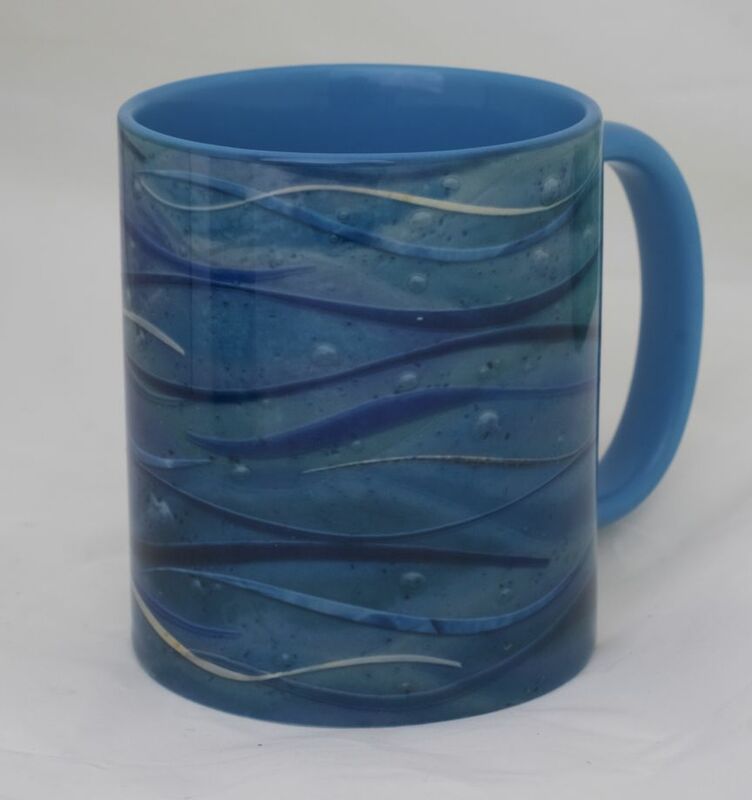 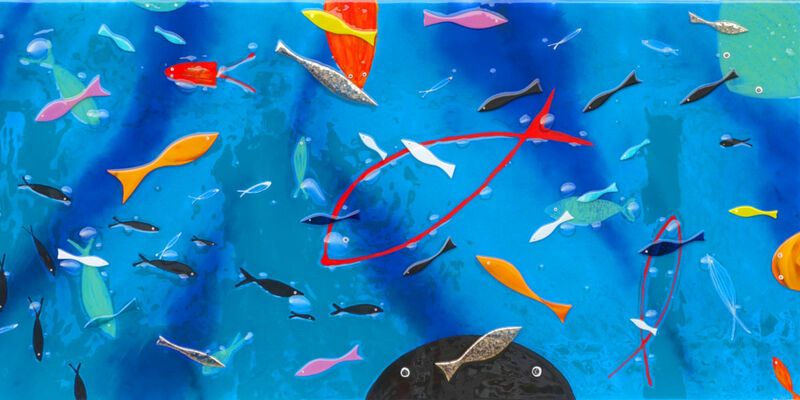 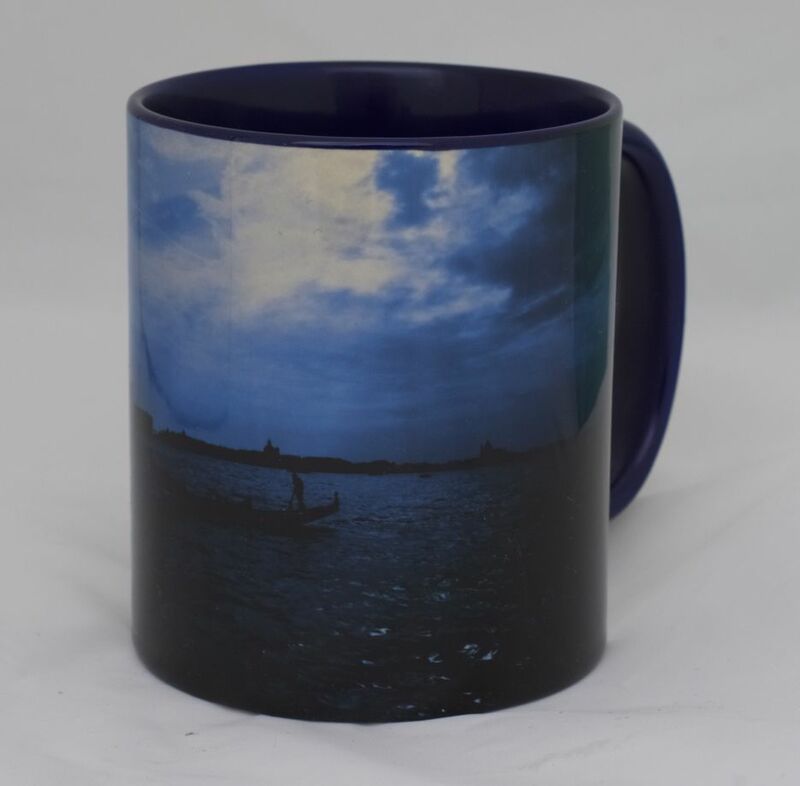 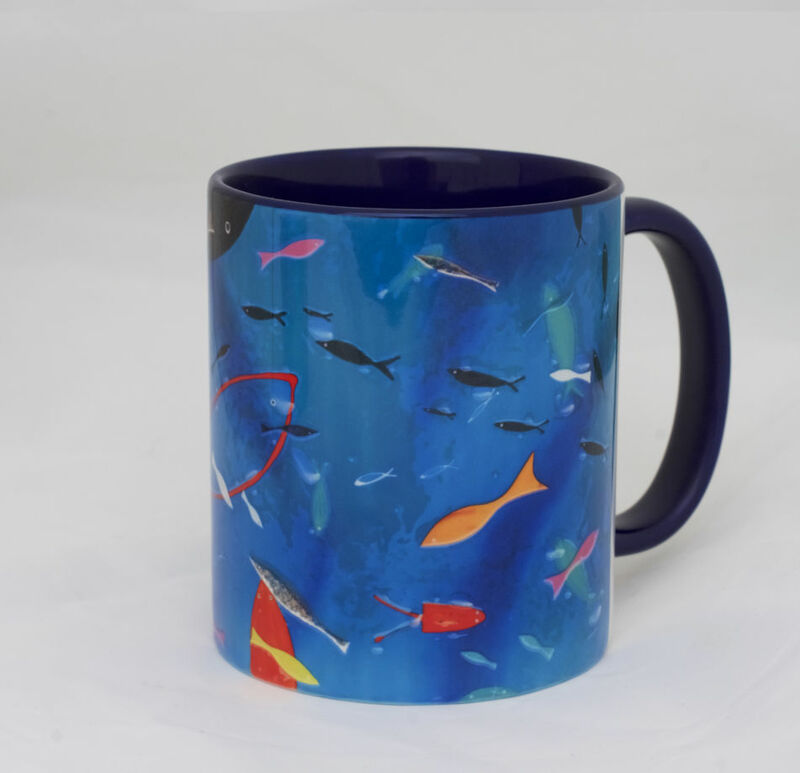 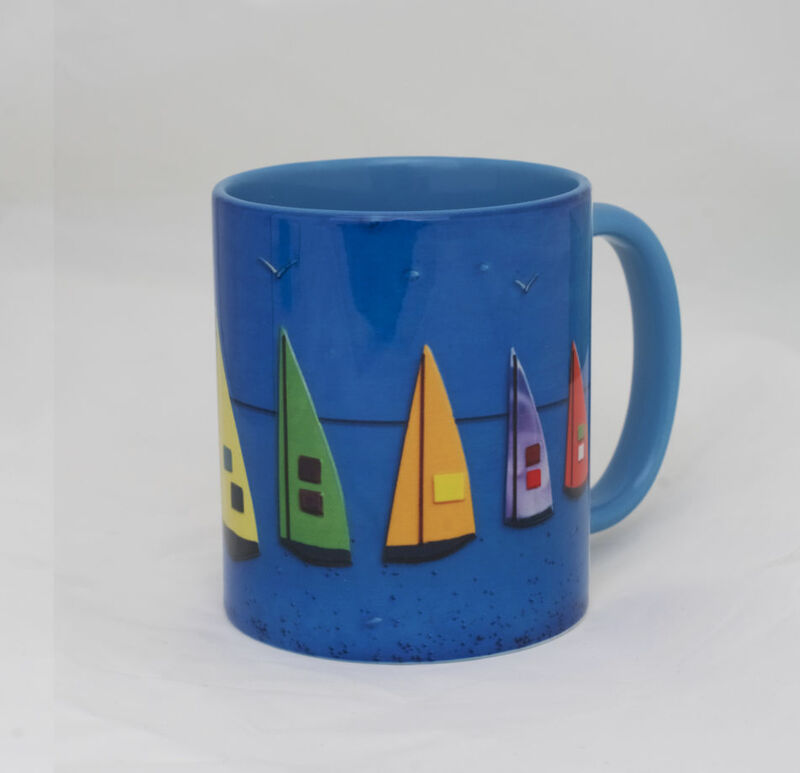 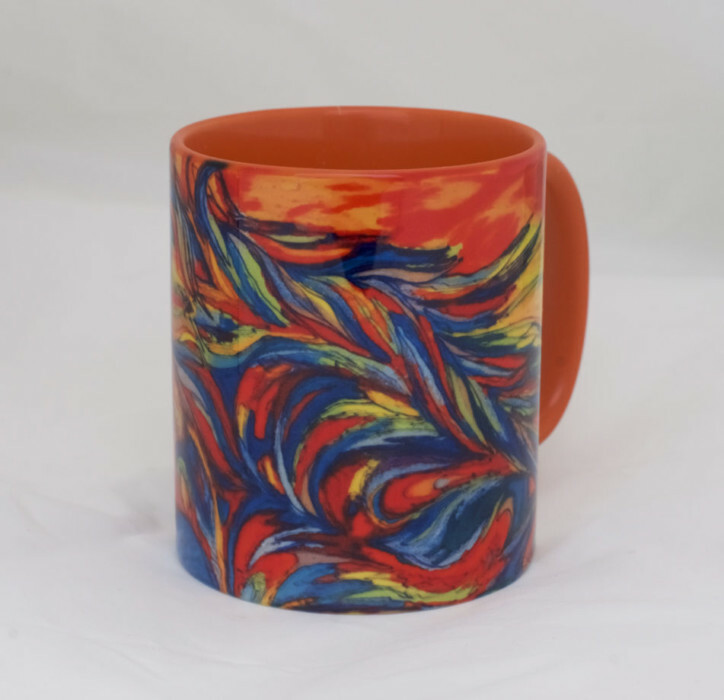 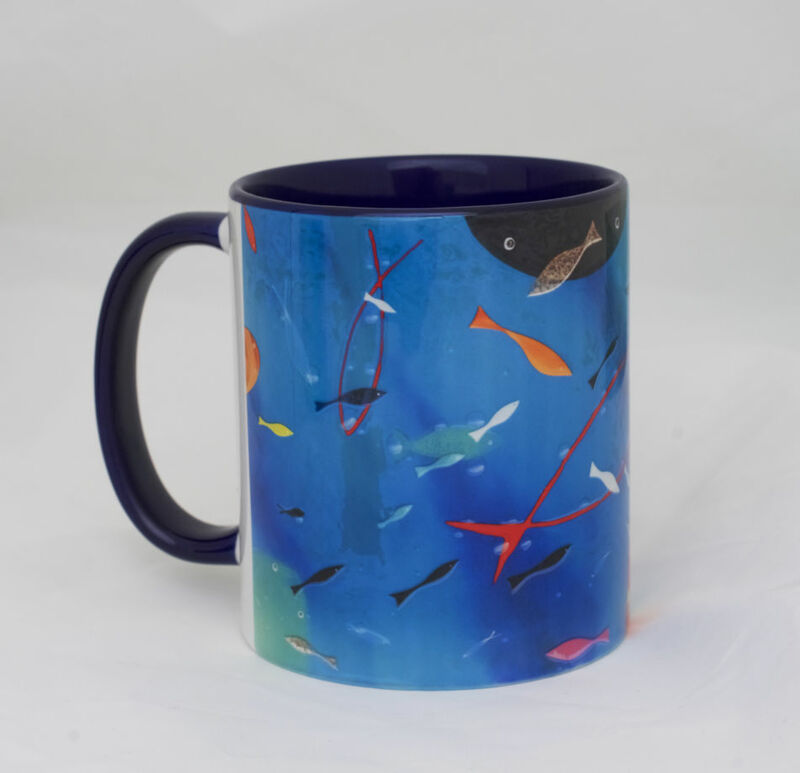 This sleek and stylish fish mug features dark blue hues that shimmer with colour, and many different types of fish floating around the sides of the mug. 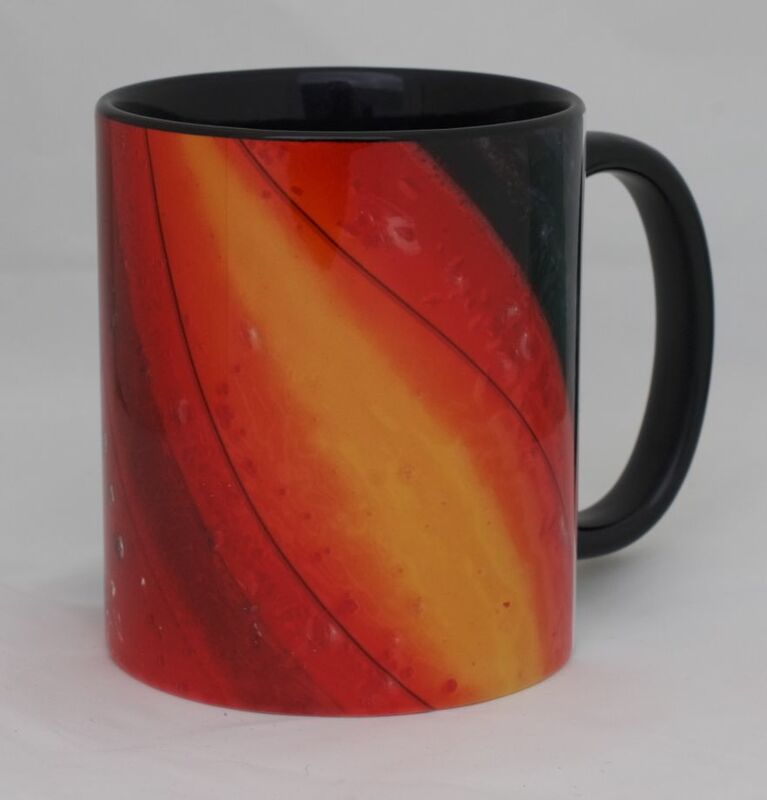 Blacks, oranges, reds to name a few! 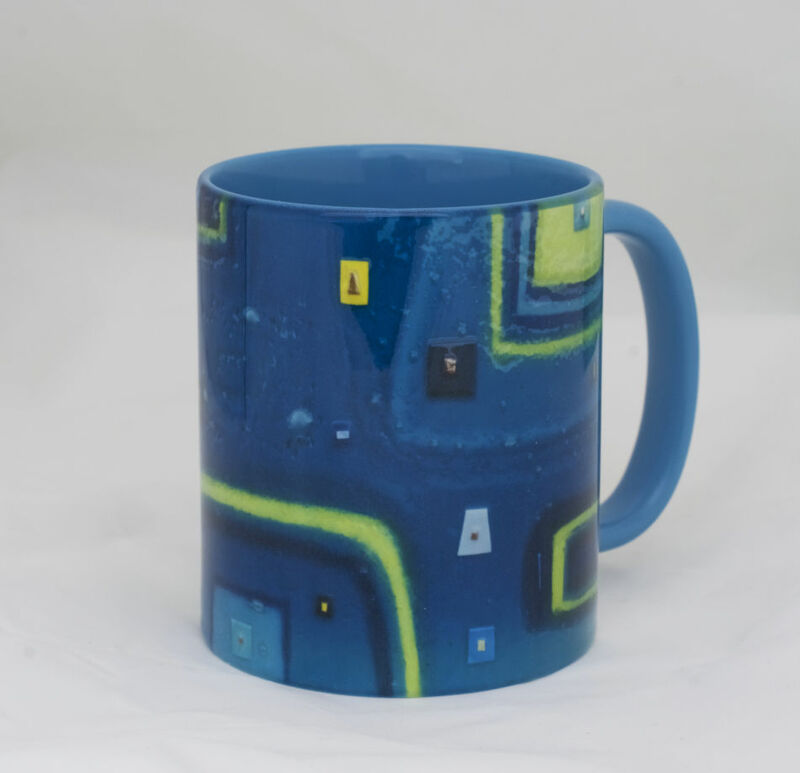 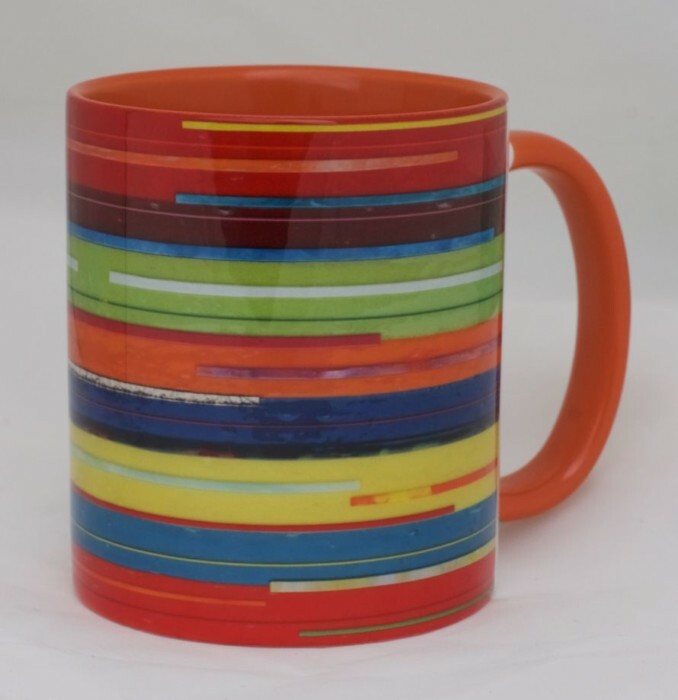 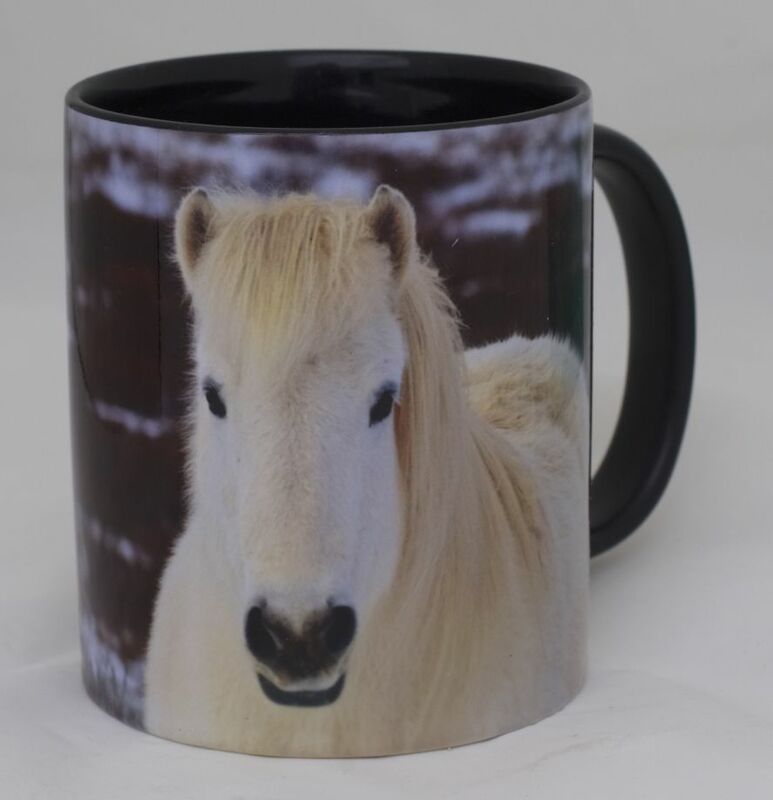 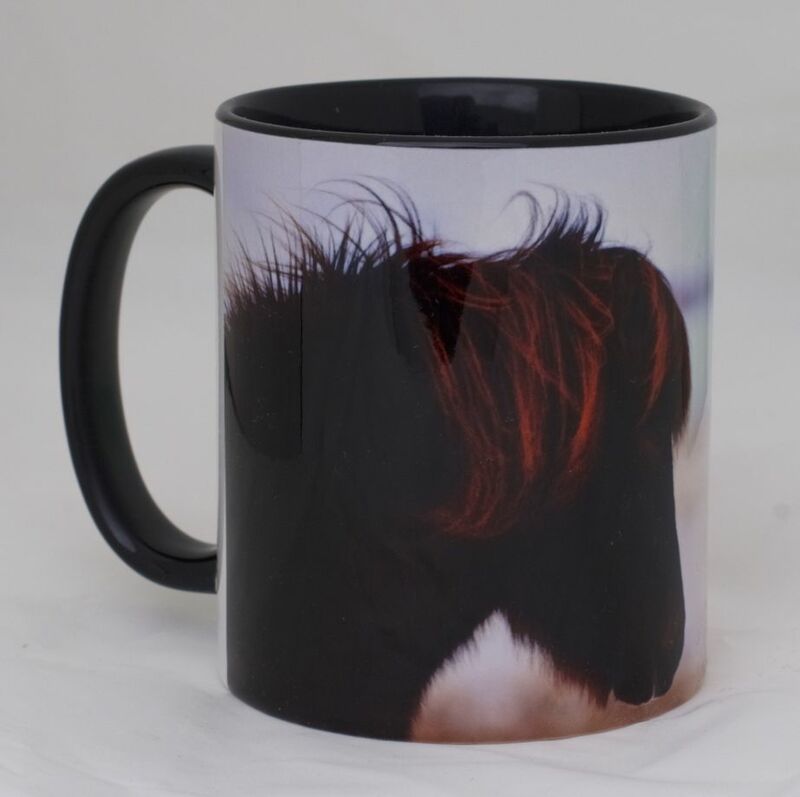 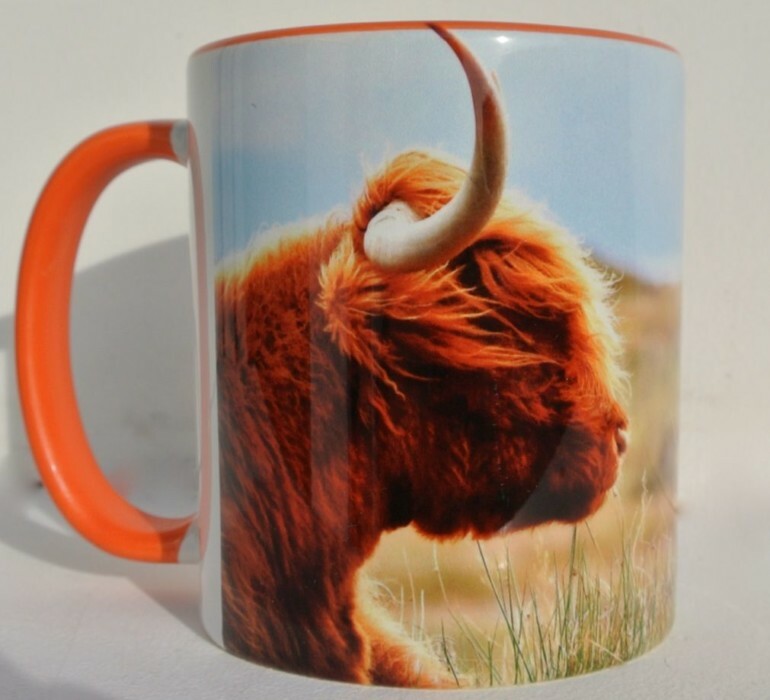 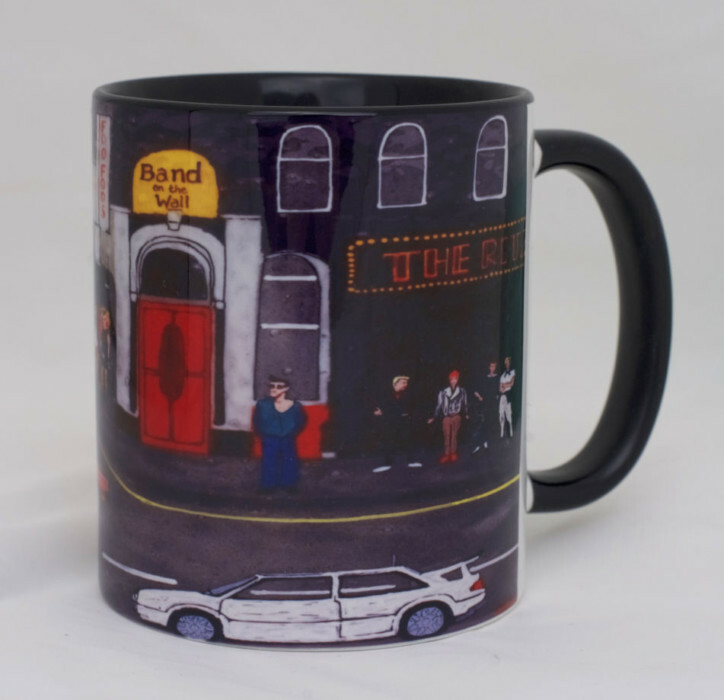 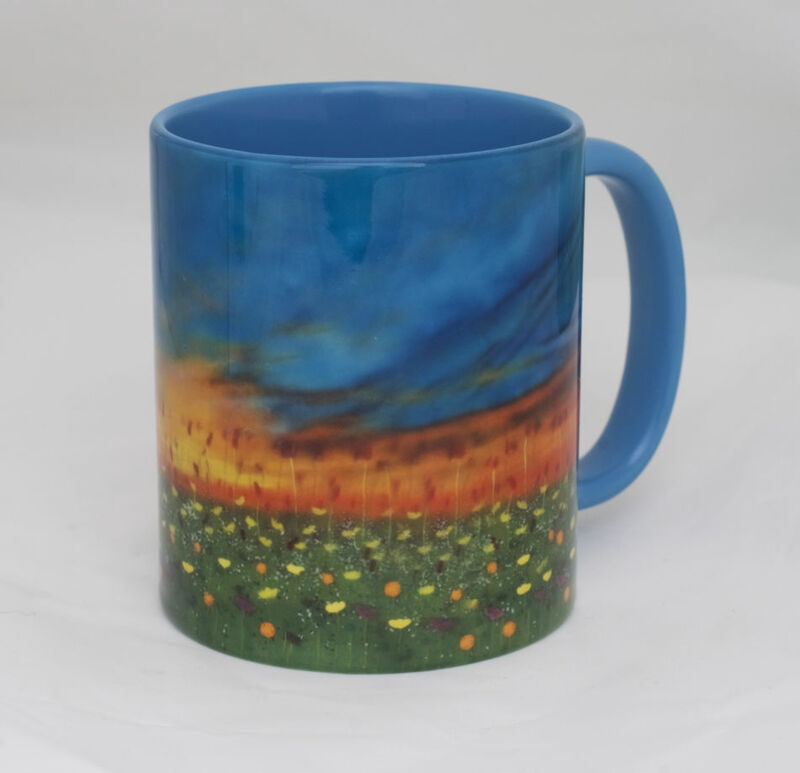 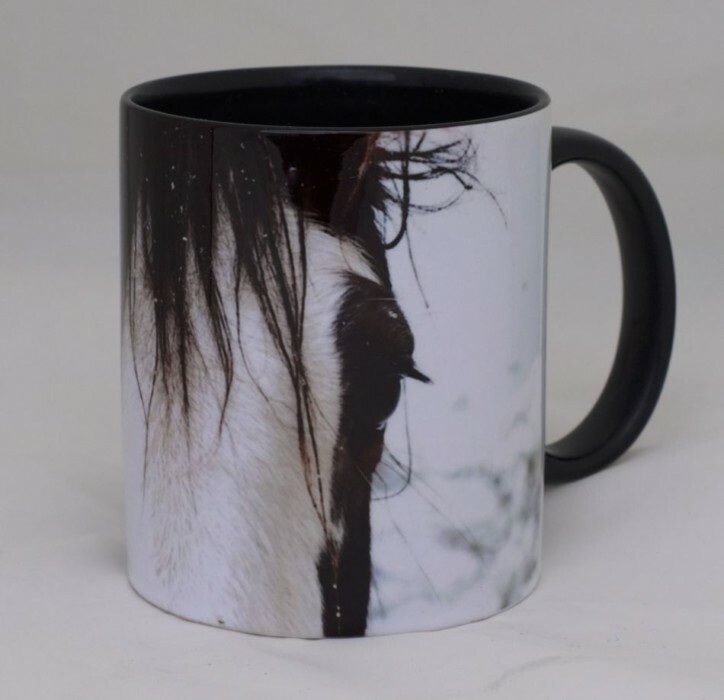 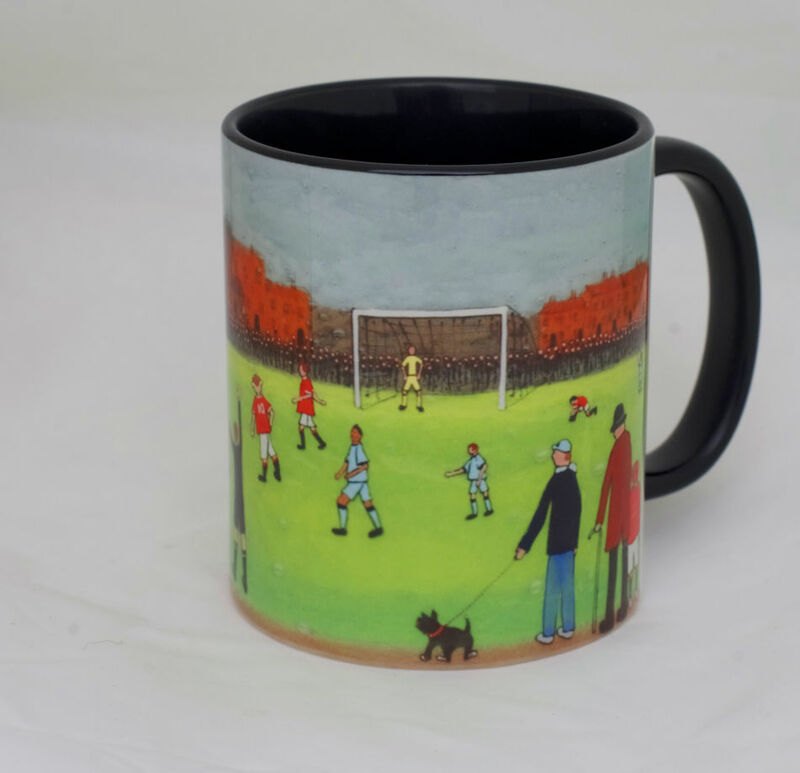 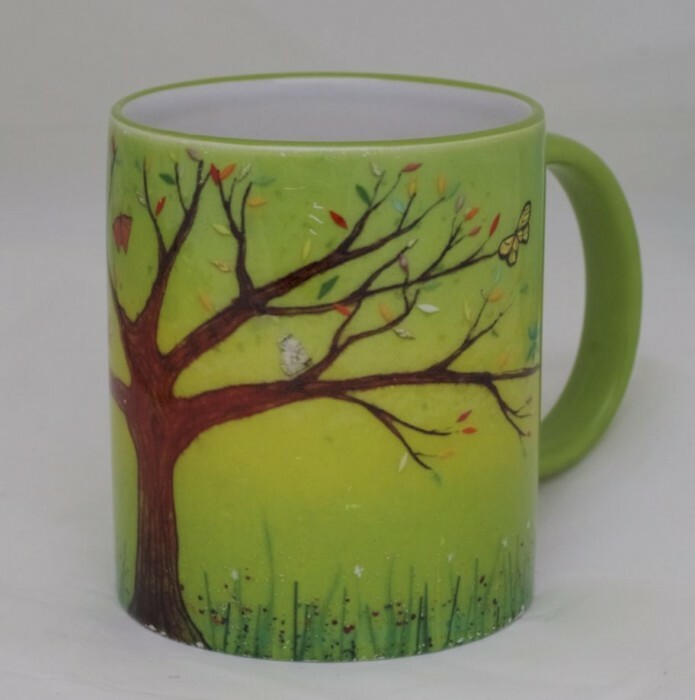 Want to drink out of something with a little more character? 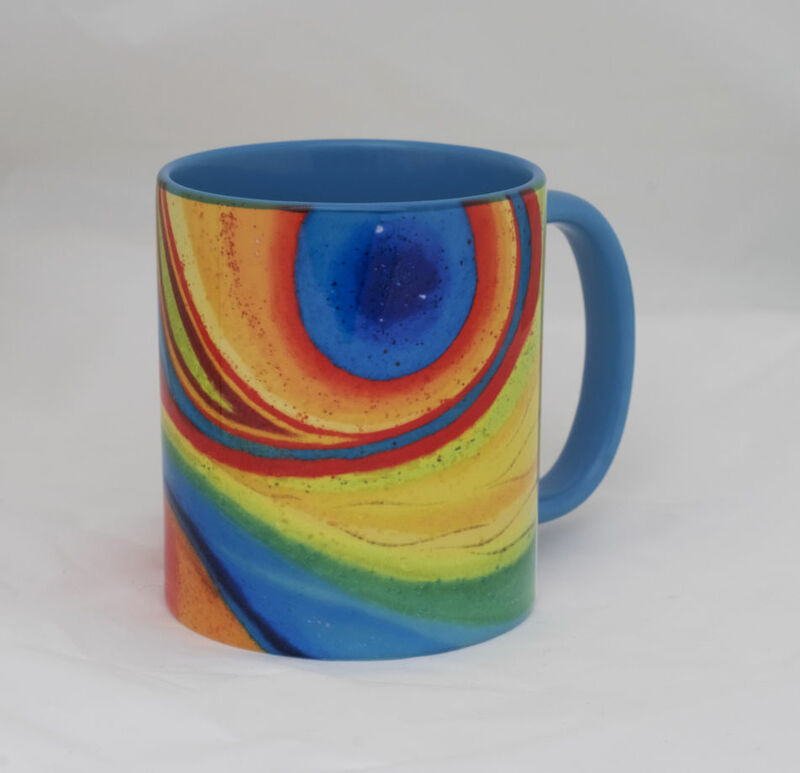 This is the design for you.